More than a century ago, Dr. Montessori set out to observe a group of children in a psychiatric hospital, as a part of her medical training; without knowing it yet, she was taking the first steps of a journey that would change not only modern education but our whole notion of human childhood. It was not a chance or any flight of fancy that Dr. Montessori titled the summary of her early work “Discovery of the Child” – as through observing children carefully, systematically and without judgement, she arrived, with surprise and delight, to an unprecedented understanding on who the young human being is and can be. Afterwards came years of study, travel, experiments and cooperation with others, but the critical tool in Dr. Montessori’s set always remained observation. And as it transformed her and her educational method, so it can transform parenting and education whenever it is applied. In our daily lives, there is often so much vying for our attention – work to be done, errands to run, people to speak to and care for. As we weave through our days, we expect children to act a certain way – kiss their mothers, tie their shoelaces, play with Legos, finish dinner – and every so often are befuddled and frustrated when they don’t, for reasons we cannot begin to guess. However, these reasons might make themselves obvious through observation. Children are no more irrational than any other person, after all, and often our expectations are simply based on incorrect fact. The thing is, it’s hard enough to fully understand ourselves, and meanwhile the child is a being mentally and psychically vastly different from us, one we cannot begin to comprehend from our own frame of reference. It is practically impossible to remember what our own childhood was like; and besides, children grow and develop rapidly, their minds and personalities reborn multiple times throughout development. 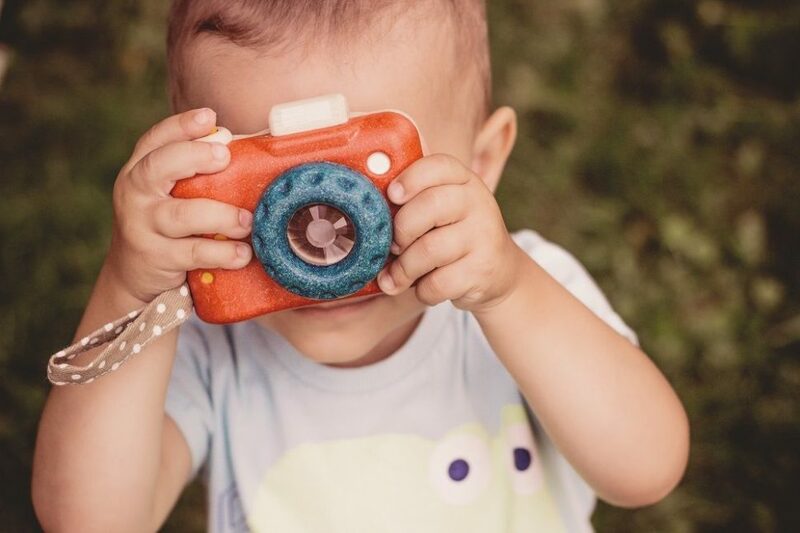 We must mindfully observe to truly see children as they are, rather than rely on our own assumptions, their guessed motivations and imagined capabilities. It doesn’t help that most cultures on Earth have not spent much time and energy on studying and respecting the work of childhood, and so we have inherited a set of judgements and biases that form more of a caricature than a true description, and therefore often offer more harm than help. Dr. Montessori spoke of three types of observation: the direct observation of the self (i.e.., turning our attention to our own feelings, thoughts and reactions, and noting them consciously), the direct observation of the child (when we sit down quietly, and our only activity becomes watching as attentively as we can) and the indirect observation (in which we can observe insightfully whilst carrying out other tasks, for example as we play or work together with the child). Each of these types of observation is useful in its own way, and they are best applied in combination, although the skill of indirect observation may only develop after practicing self-observation and direct observation for some time. What is the difference between simply being with a child, as we are used to, and being an active observer? During observation, we do not assess or judge. Interpreting our observation is an exercise that can come afterwards, but not during: it takes our attention away from what is in front of us and often tempts us to dismiss further information that might contradict our assumptions. Perhaps the most difficult part, and certainly the greatest challenge in the beginning, is to separate objective observation from our own reactions, guesswork and prejudice. During observation, we do not interfere; like a scientist, we recognize that we must separate ourselves from the subject of our study. Of course, if we see a child who has come into danger, we must stop observing and act; sometimes the child also does not wish to be observed and instead will want us to help, or to play together. However, it is spectacularly useful for us to here and again forbid ourselves to interfere and simply watch the child’s actions. Often adults are initially shocked and delighted by seeing all the things that their children and students are actually capable of independently, if they are not interrupted too quickly by a “helpful” grown up. During observation, we keep in mind our reason and aim for it. Observation allows understanding, and understanding allows meaningful assistance, rather than hindering and counterproductive efforts. The child has a great work to do, one we should respect and protect; we can only do so when we see it for what it really is. What is the best time to start observing a child? Right now, naturally. It is a valuable habit to parents, educators and caregivers of children of any age, although the adolescent might not appreciate it if that is where you are starting; nonetheless, I can guarantee you will be surprised by what you see with a child of any age. How to start? Like any new skill, it helps to make set times to practice – in the beginning I would recommend stretches of ten to fifteen minutes, before mental fatigue takes over and your attention starts to wander. Simply find a comfortable spot with a good view of the child and settle down. Preferably with a pen and paper: you don’t need to write down descriptions in any great details, however many people find it helpful for their own clarity to jot down quick notes or drawings and descriptions, or write down lengths of time that a child spent doing something (also, it is easy to tell a younger child – look, I am busy here with this paper. You go play by yourself). Just take care to never write why or how well a child did something – that is a subjective interpretation of the fact, not the fact itself! If observing for longer periods, it is also a useful habit to mark the progression of time and what is happening at least every ten minutes, so that it may jolt us out of any inadvertent reverie. The notes themselves are not as important as the act of taking them, but you might consider keeping them and reviewing them at a later date; as the child changes small bit by bit every day, large transformation and patterns of behaviour might not become apparent until you are looking at notes from a month or six ago. Self-observation, of course, is more challenging, but it is likewise helpful to keep a written record – a journal or notes, especially of your interactions with the child if you’re struggling with a particularly troublesome issue or frustrating behaviour. Consider building a habit of pausing throughout your day and answering a few basic questions to yourself: how do I feel just now? What am I reacting to? And what action would be in my best interest right now, compared to the one that is most tempting just now? Of course careful self-study is a topic far beyond the scope of this article, but fortunately there are many sources and schools offering teachings on self-knowledge, mindfulness and conscious attention to the self. I can heartily recommend both educators and parents to pursue them actively. Ultimately, observation can and should be our first line of action in conflict or challenge, as well as an everyday way of preventing them; one of the most useful, accessible and flexible tools at our disposal. I hope it brings you many wonderful discoveries.